What’s your favorite part of vacation? For tropical vacations, is it the sand between your toes? The sound of the ocean’s waves, lapping up to your feet? Is it soaking up the sun in your vacation spot’s crystal blue, fancy pool? While I love ALL of those things, my real joy is discovering the local food. I’m a foodie, through and through! We recently got back from our annual sojourn to the tropical Sanibel Island. We always look forward to seeing our favorite things down there and eating at our favorite restaurants there. We always go straight to the Island Cow, a funky, cow-themed, tropical restaurant in the middle of Sanibel Island. They put “bread” on the table when you arrive…read “bread” as strawberry and funfetti muffins. How can you go wrong? 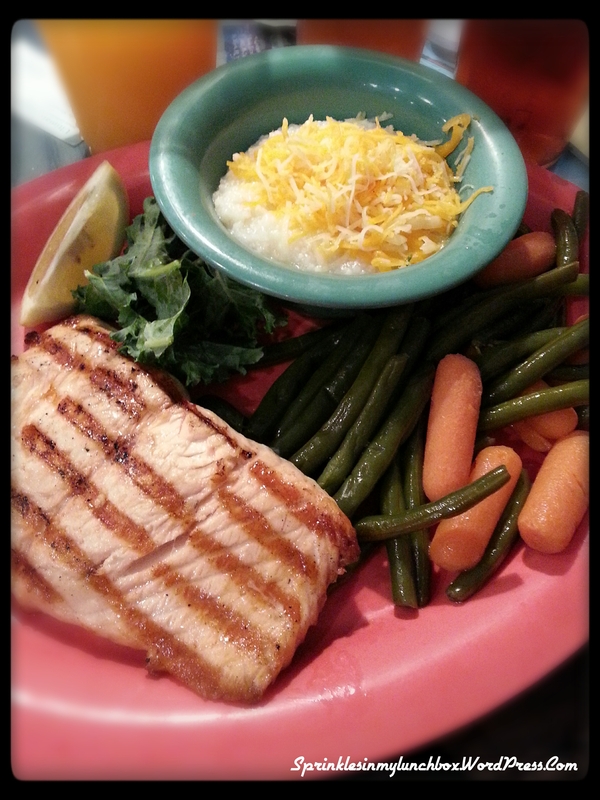 I ordered the grilled salmon. It was a little dry. But I didn’t care. I was eating fresh fish and funfetti muffins on a tropical island, surrounded by extended family. Standards are different. I ordered it with veggies and cheese grits. Because cheese. And grits. Everyone enjoyed their meals (Hubs got shrimp, Bigs got waffles, and Smalls got catfish – he actually asked for catfish and loved it – such a mini-foodie-baby!). We then went to the best grocery store on the Island – Jerry’s, as we always do after lunch. We picked up some food for the week…and a few extras….DONUTS. I was on a donut hunt. Like a Great White Shark (sorry, this all happened during our beloved Shark Week) hunts its blubbery prey, I was out to find the best donut. My hunt began earlier in the week (and in my hometown). We had to spend 3 hours in Pediatric Cardiology earlier in the week to check out my Smalls’ heart murmur (healed, God is good!) and I thought we deserved donuts. And it was a nice way to round out the week before leaving for vacation. These (strawberry icing with sprinkles, red velvet with cream cheese frosting, coconut crunch, and jam-filled) were delicious, but still not as good as my go-to donut shop (I’ve talked about them and posted pictures before – they’ve been featured on Food Network’s “Donut Showdown”!). 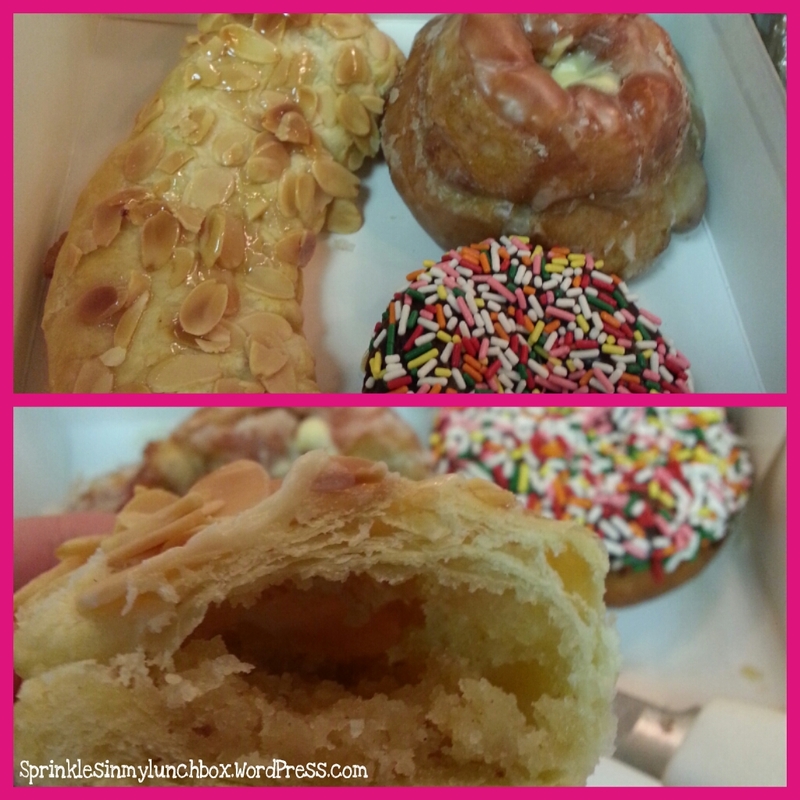 We picked up a chocolate icing with sprinkles, an almond-filled bearclaw, and a custard-filled croissant bundt. I was delighted to see that as my search continued, the donuts (and pastries, as it were) were getting better and better. The sprinkle donut was very good (the boys devoured it, they love their sprinkles). The almond-filled bearclaw was DIVINE. The pastry was delicate and crunchy and topped with glazed almonds. The inside was lovely marzipan-esque, chewy, and absolutely wonderful. And the little bundt in the back was a delicious surprise. It was made with torn up croissants, pressed into the mini-bundt pan, baked, glazed, and filled with a creamy, cool, vanilla custard. SO fun! 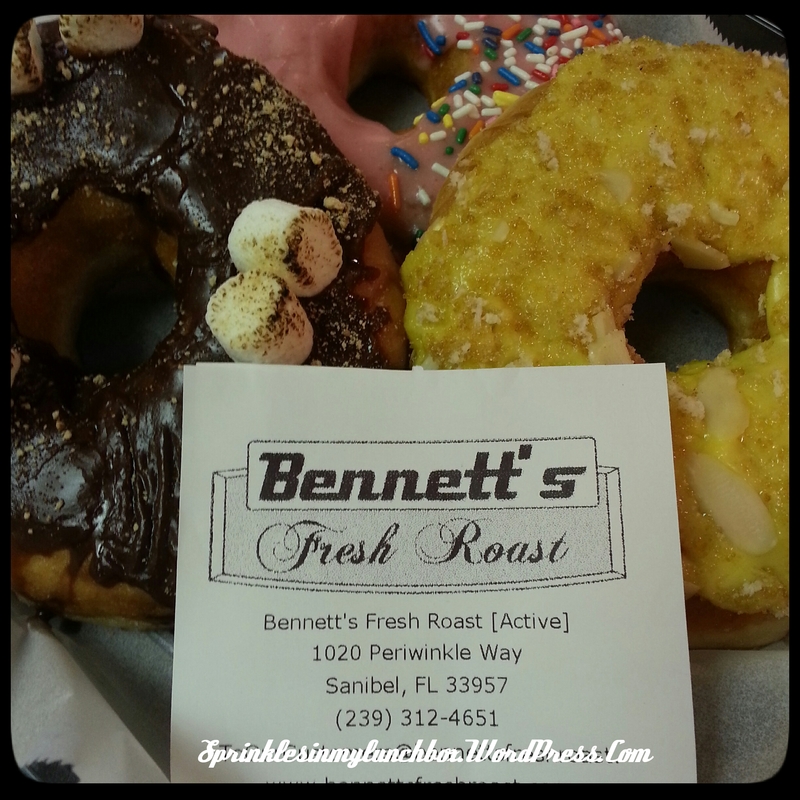 We finished off our donut crawl at Bennett’s Fresh Roast donuts, which have also been featured on “Donut Showdown”. Our group liked them so much, we got them twice! 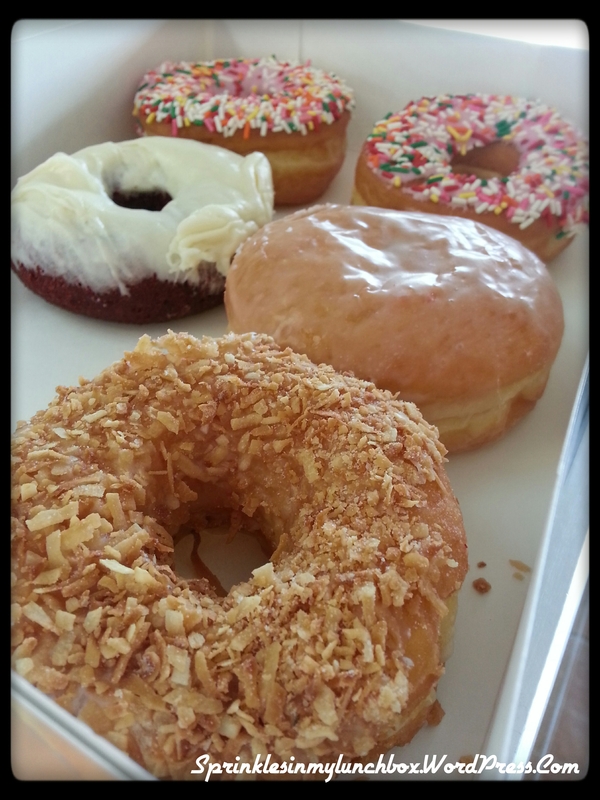 The picture above shows their s’mores donut, pink icing with sprinkles (for the boys, obvi), and their Orange Crunch. Despite loving all things s’mores and not really liking Orangesicle flavored things, the Orange Crunch was out of this world. It was FULL of fresh orange flavor. 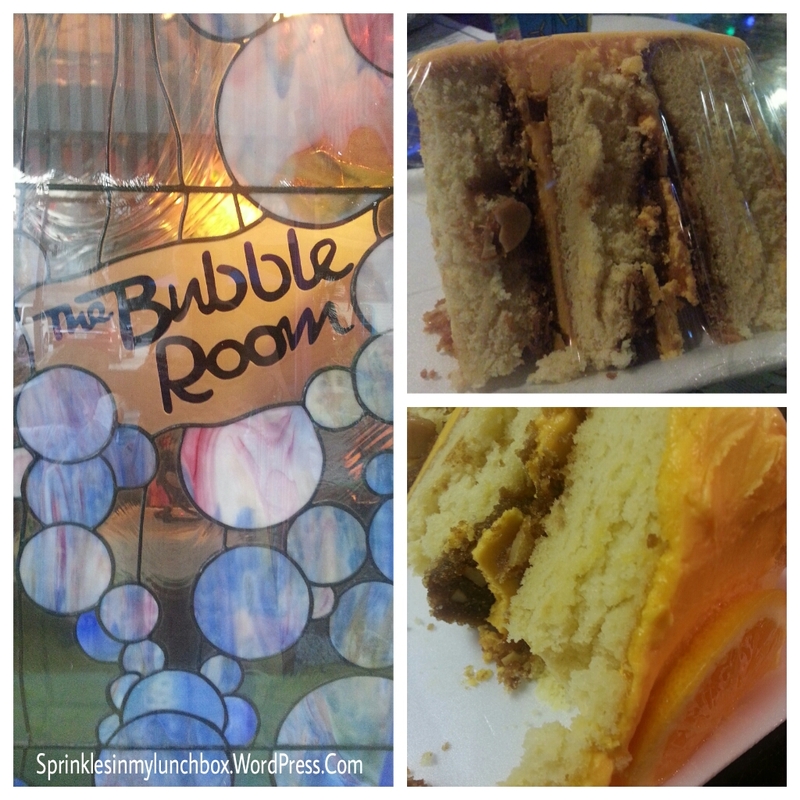 We also took our boys to the famed Bubble Room! It was SO much fun! My husband used to go to the Sanibel and my parents used to take my to the one where I grew up – such happy memories! 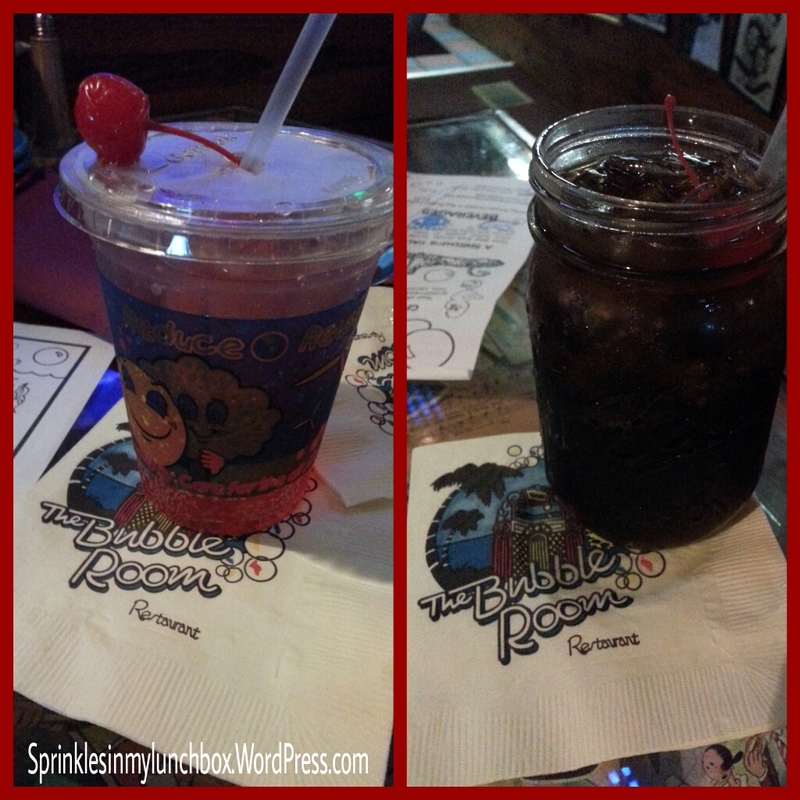 When we sat down, I ordered Bigs a Shirley Temple (as my parents did for me when I was little) and a Roy Rogers for me. Everything about it is happy. Bigs thought it was great. And seeing him experience something I did as a wee one made me so happy. 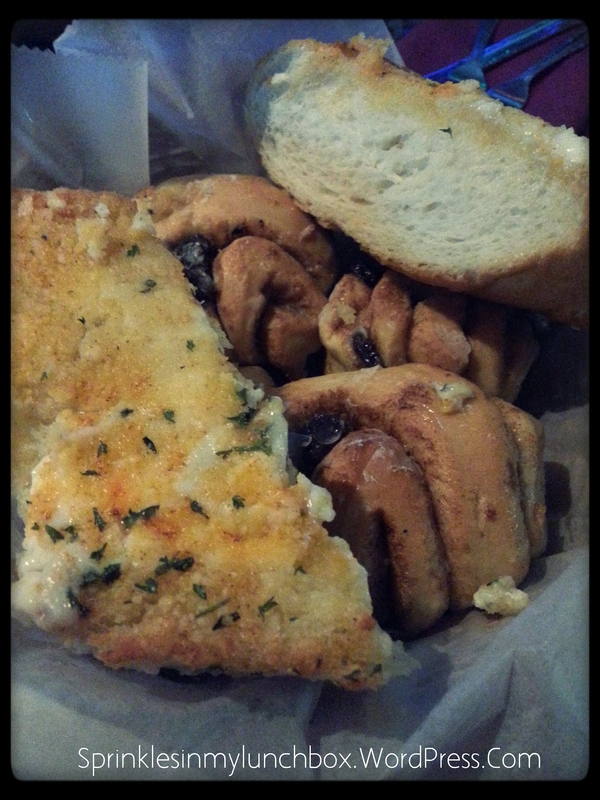 It was filled with their “Bubble Bread” (garlicky, cheesy, and delicious) and sticky raisin buns. I meannnnnn…. I ordered the Prime Rib, but my picture came out blurry. It was really delicious. We took a slice (SLAB is more like it!) their famous Orange Crunch Cake back to our condo to share with our family and friends. We all loved it. It was so delicious. The food was incredible, as well as our vacation. 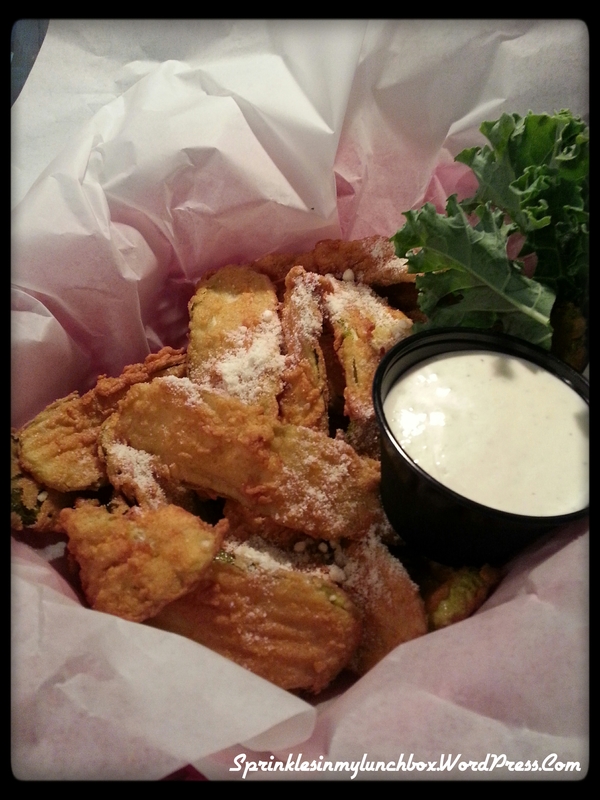 What are YOUR favorite places to eat on your recurring or one-off vacations? I’d love to hear! I wish we were all still there!!!!!! All is great on Sanibel! Lu! Another successful year! ?